Ascites is a pathological accumulation of fluid in the peritoneal cavity. Clinical manifestations largely depend on the volume accumulated, so ascites may present as a radiological finding or as an evident increase of abdominal perimeter. 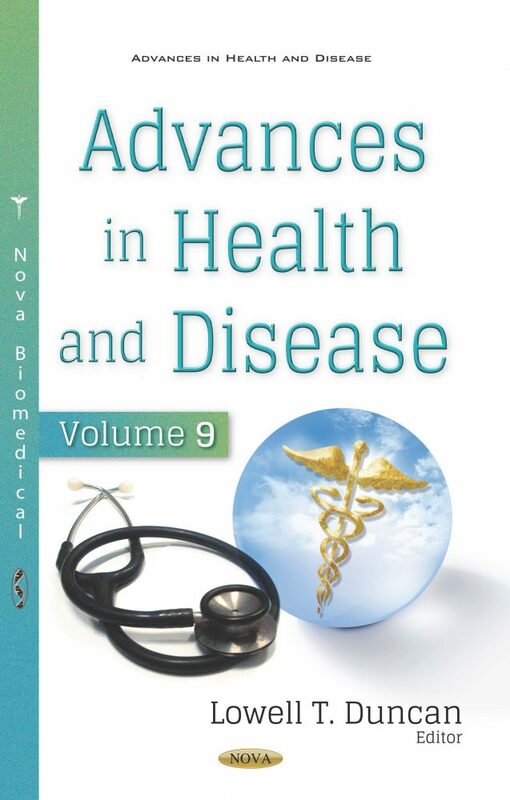 Advances in Health and Disease. Volume 9 opens with a discussion of the indications for paracentesis, an invasive procedure consisting of the extraction of ascitic fluid through percutaneous puncture of the abdominal wall, as well as techniques for diagnostic and therapeutic purposes, prophylactic considerations in order to minimize complications and alternative strategies. The authors go on to discuss the knowledge provided by scientific research regarding tendon injury, summarizing how to approach injuries of the tendon in a concrete and schematic matter. The goal of the following study is to evaluate pain relief in patients with chronic low back pain and failed back surgery syndrome after a single-shot intrathecal administration of midazolam. The analgesic effect was determined using a patient questionnaire during subsequent visits to the pain therapy service. An additional study is presented in which 38 patients were treated with open reduction internal fixation via a dorsal approach. Clinical assessments included range of motion measurements at the wrist, grip strength, the Quick Disability of the Arm, Shoulder, and Hand score, and the Gartland and Werley score. Also in this compilation, the authors investigate combinations of methods and resources for a quicker and complete functional recovery. This research included 106 patients divided into two groups (with and without labor activities). 51 patients had a traumatized dominant hand and 47 had a complication of M. Zudeck. The analysis of the results obtained allows for the confirmation of the medical and social effectiveness of the complex Physiotherapeutic Rehabilitation Program. Meckel’s diverticulum is the most common congenital anomaly of the gastrointestinal tract, affecting approximately 2-4% of the population. In the case of bleeding, it is proposed that tagged RBC scintigraphy or angiography could be utilized to determine the source of bleeding and possibly direct the clinician towards the diagnosis of Meckel’s. The following chapter outlines advances that have been made within the growing field of zebrafish as a model for human diseases and highlights their advantages for drug discovery. Furthermore, the zebrafish in vivo model presents many advantages when used in biotechnology and for food science and technology purposes. A large clutch size, transparent embryos, low-cost, fast growth and easy handling are the main features of this model. Recently, the zebrafish model has been used to study vertebrate development and for modeling human diseases and processes such as oxidative stress, liver damage, inflammation and evaluation of inhibition of lipid peroxidation. The closing experiment was conducted in twenty-six pediatric patients who were given initial doses of continuous infusion of 200 μg/kg/h of midazolam, either from the innovator brand or from the generic brand. The children were monitored for plasma concentrations determined by high performance liquid Chromatography and the sedative effect was measured using a BIS monitor.